Malaysian Airlines flight MH370 disappeared in perplexing circumstances just over one year ago now, on March 8th, 2014. Plenty has been published about that tragic anniversary already, but it brings to mind the equally shocking and mysterious disappearance of an Australian airliner many years before… An aviation mystery that would only be solved by the sheerest chance – and only after almost thirty years. 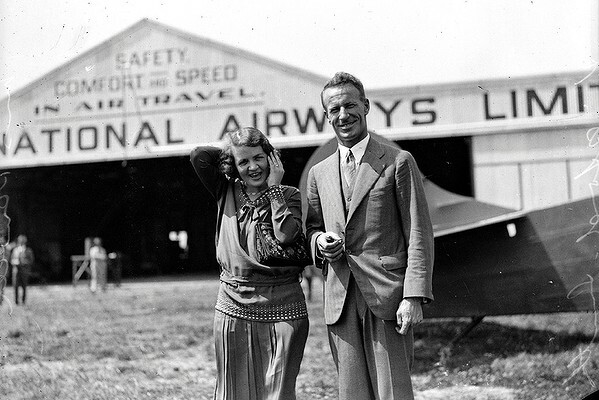 Charles Kingsford-Smith (with an unidentified companion) outside the ANA hangar at Mascot, in 1933. Despite the smiles, ANA’s assets were in the process of being liquidated by this time. 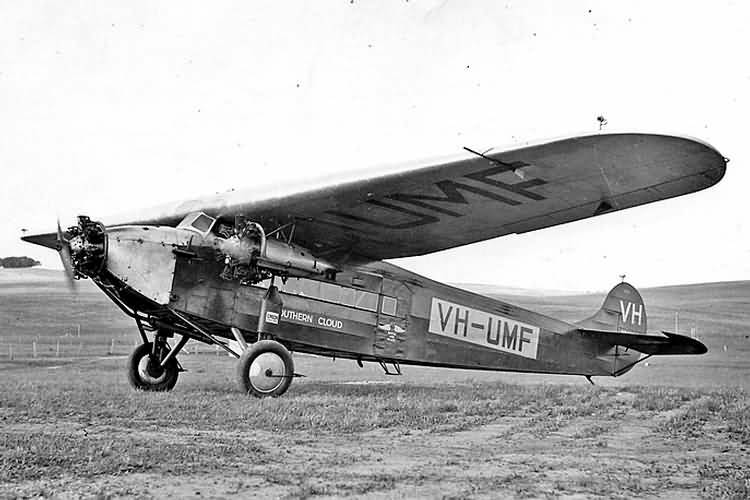 March 21st, 1931 was a windy, overcast morning in Sydney, Australia, but not enough to worry the two pilots of VH-UMF Southern Cloud as they prepared for the daily flight to Melbourne, 450 miles south by southwest. 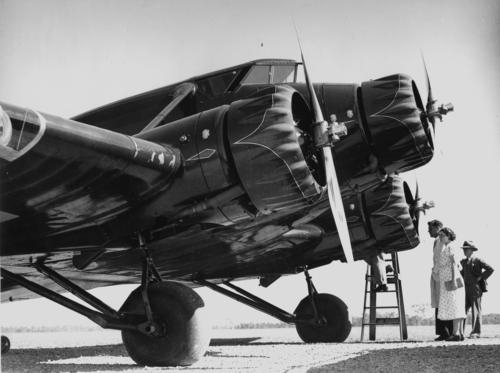 After all, the big Avro 618 Ten was a British-built version of the incredibly robust Fokker Trimotor that Charles KIngsford-Smith and Charles Ulm had used to cross the entire Pacific Ocean just three years before. Kingsford-Smith and Ulm hadn’t rested on their laurels ofter their triumphant flight across half a world of water. They following year, 1929, they’d founded Australian National Airways and ordered the first five trimotors off Avro’s production line. While they awaited delivery, the pair made the first crossing of the dangerous Tasman Sea in their faithful Fokker Southern Cross. 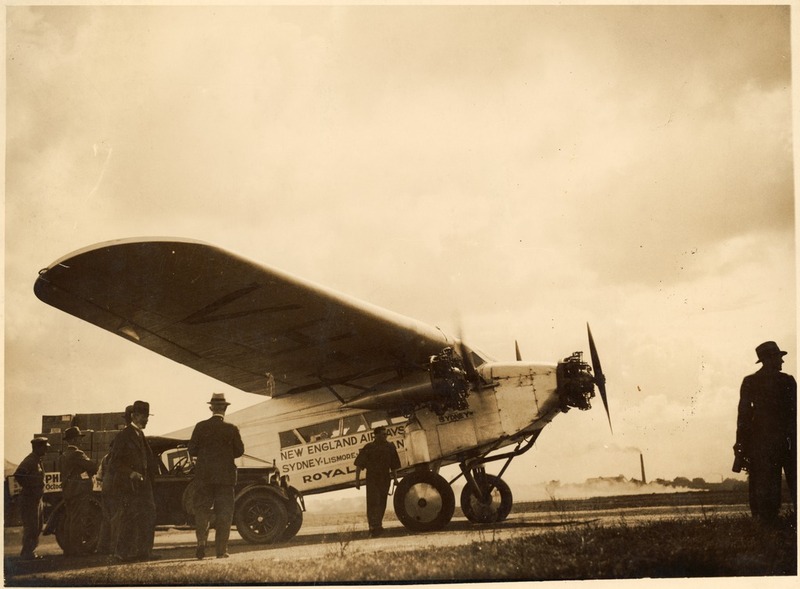 By early 1930, the airline was operating successfully from Mascot Aerodrome in Sydney, with bases at Archerfield near Brisbane, Queensland (where the Trans-Pacific flight had landed), Essendon outside Melbourne, Victoria, and Launceston in Tasmania. In Sydney on March 21st another ANA Avro, Southern Sun, would depart Mascot for Brisbane at about the same time as Southern Cloud, while in Melbourne, two more aircraft were preparing to depart – Southern Star flying down to Launceston in Tasmania and Southern Moon flying a reciprocal service up to Sydney. However the weather that greeted the pilots in Melbourne that morning was much wilder than in Sydney, with low scudding cloud, strong winds and driving rain showers. Both flights would be made in extremely marginal conditions – the crew of Southern Moon would face heavy icing and have to lay off up to 55º of drift just to hold their course in the ferocious westerlies. With the winds quartering from behind, they made the journey up to Sydney in a blistering four hours. Meanwhile, at Mascot, the cloudy conditions didn’t seem to be anything the experienced crews couldn’t handle. Southern Cloud’s pilot in command was Captain Travis “Shorty” Shortbridge, ANA’s Chief Pilot, who had over 4,000 hours and war service with the RAF to his credit. Having flown the Melbourne run many times before, he knew the route well. 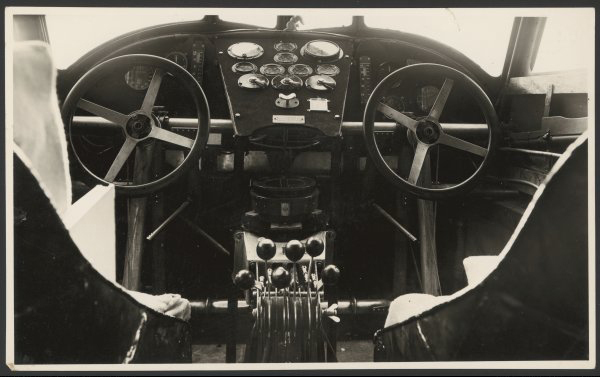 His assistant pilot, Charles Dunnell, was equally up to the task. Given the cloud cover, the pair would likely take a more westerly course to avoid high terrain along the direct track. They prepared for their flight and boarded the six passengers (of eight who’d booked) when they arrived at the airfield. Southern Cloud then taxied out and departed on time, at 8.30am. She circled overhead before setting off to the west and was never seen again. At first there was general disbelief that a large, sturdy three-engined airliner could just disappear. By evening it had turned to distress, but there was still a chance the crew had put down somewhere along their route to take on fuel and wait out the weather. By the following morning, hope was fading fast. Reports of hearing the aircraft pass overhead came from all along its planned route, with some even speculating that the aircraft had over-flown Melbourne and come down in Port Phillip Bay or Bass Strait. Many experts, including experienced pilots, believed the plane must have crashed within 50 miles of its destination, in the rough terrain just north of Melbourne. Charles Kingsford-Smith and Charles Ulm led an extensive search, involving over 30 private and RAAF aircraft. But finally, after 18 long days, it was decided there was little chance of finding the Southern Cloud and no hope of finding survivors. ANA continued to suspend its operations and use its aircraft to keep searching for several more weeks, but still without success. As long as the aircraft was missing, people would claim to know what had, or might have, happened. A melodramatic movie based on the loss and called Secret of the Skies came out in March 1934, and the Department of Civil Aviation was still receiving letters outlining theories and describing prescient dreams more than 20 years after the plane and its eight souls had vanished without a trace. Meanwhile, the loss and subsequent search dealt a body blow to Australian National Airways. The financial costs, lost revenues and shock to public confidence forced the airline to close within months. Despite the absence of any wreckage there was an official enquiry into the disappearance, which found no fault with ANA, its aircraft, or the pilots – but it did expose serous systemic failings within the nation’s fledgling airways and aviation weather services. 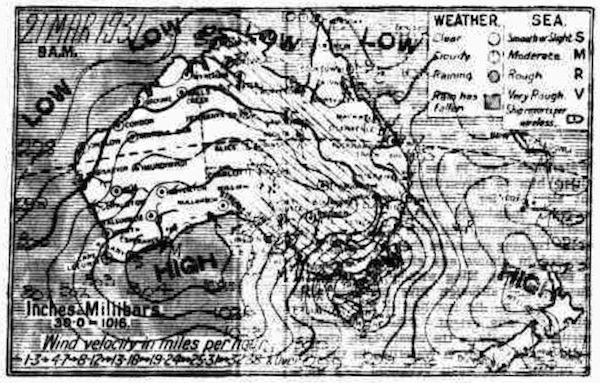 Critically, the Weather Bureau would take observations from around New South Wales at 9am each morning (except Sundays), then prepare their synoptic chart and forecast notes for release by about 10.30. ANA pilots with an earlier departure time would therefore develop their own picture of the enroute weather using the synoptic chart and forecast notes published in that morning’s daily paper, which were all based on the the previous day’s observations. By the time reports of wild weather along the route reached the Sydney Weather Bureau, Southern Cloud was already two hours into her flight and, because she carried no radios, beyond recall. 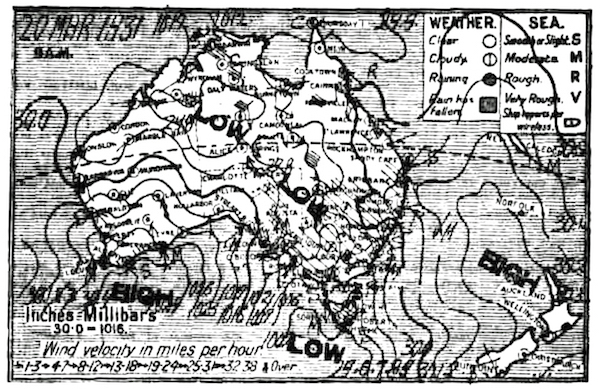 Sydney Meteorologist Harold Camm actually phoned the ANA office as soon as he realised the weather between Sydney and Melbourne was a near-hurricane with an embedded cold front that signalled terrifying winds with a drastic change of direction, plus thunderstorms, ice, and hail. But despite the clear danger, there were no radio services capable of either alerting the crew or tracking their progress. Even if Shortbridge had taken the precaution of flying a western diversion around the highest terrain, Southern Cloud may would likely have been carried back into the mountains by the winds anyway – and the crew would have been helpless against them. The enquiry’s report recommended making two-way radio mandatory equipment on regular scheduled passenger services; the urgent establishment of radio monitoring stations along Australia’s air routes; and more frequent aviation meteorology services. While those changes were instigated in the following years, the fate of the Southern Cloud remained unresolved. The Great Depression, World War 2, Korea, and the coronation of a new Queen all washed over Australia as the years passed. In fact, the fate of Southern Cloud could still be one of the greatest aviation mysteries ever, if blind chance hadn’t played a part decades later. The Australian Government built the nation’s future on a massive Snowy Mountains Hydro-Electric Scheme after World War 2. Announced in 1949, the project would involve decades of damming, tunnelling and building in the rugged highland terrain. By October 1958, the work was well progressed and gangs were driving tunnels to carry the Tooma River under a series of mountain ridges to Tumut. On Sunday the 26th a young carpenter named Tom Sonter set out to photograph the spectacular Tooma River gorge before its waters were diverted for the Scheme. 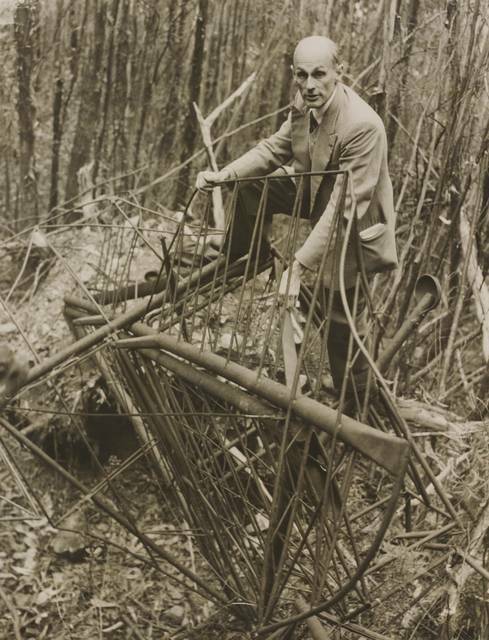 As he clambered up the steep slope, almost 1,000 feet above the valley floor, he stumbled upon a strange tangle of rusting metal tubing. Thinking it was old mining equipment, Sonter was amazed to make out the clear outline of an aircraft’s empennage. Incredibly, after 27 and a half years, Southern Cloud had been found. Although badly damaged by the crash, 27 years of weather, and numerous summer bushfires, what the wreckage told investigators was as tragic as its initial disappearance. The aircraft had crashed into the incredibly precipitous valley wall on a northeasterly heading, almost the reverse of its route to Melbourne. If they’d come down minutes earlier, the crew would have crashed onto more open and eminently more survivable rocky tablelands. At worst, the wreckage would have likely been discovered quickly afterwards. And if they’d been forced down minutes later, the aircraft would have been free to descend into the wider Murray River valley, possibly breaking out from the cloud cover in time for them to regain their bearings and navigate toward safer ground. As it was, the airplane appeared to have slammed into the mountainside in a steep starboard bank, but the state of the motor crank cases with oil still in them, and the condition of other items at the scene, seemed to show there may not have been a post-impact fire. Did anyone survive? The investigator’s 1959 report concluded that all eight people on board were probably killed instantly. However there are tantalising hints that one or more passengers may have survived, no doubt with terrible injuries and trapped by both the impossible terrain and horrific weather. Firstly, residents of Tintaldra, which has views toward the crash site 30km away, reported seeing smoke and, later, the regular flashes of what appeared to be a signal light coming from the area on the evening of the crash. 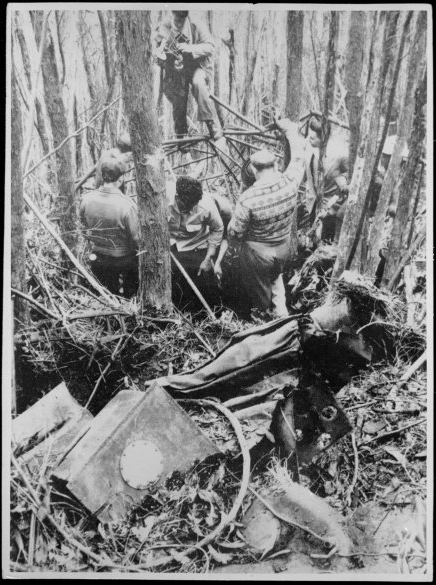 Also, the 1958 investigation found a bellows camera some 21 metres below the crash site (the impact should have flung it up the slope), as if someone had left it there while attempting to descend to the river and eventual rescue. Finally, recovered skeletal remains and personal effects could only definitely account for the two pilots and three of the six passengers. It’s heartbreaking to think of any injured passengers struggling, and failing, to survive such a horrible ordeal. Perhaps the official report did the right thing by their relatives, and the public, to declare that all had died quickly on impact. It’s an abiding moral dilemma. But in wondering how long we’ll wait for answers about MH370, it is worth remembering that Australia waited over 27 years to learn the fate of Southern Cloud – and even then the full story will never be known. For more analysis of the Southern Cloud crash, download this article (484kb PDF). The Southern Cloud tragedy did have two incredible epilogues. Firstly, Mr Stan Baker was one of the two passengers who cancelled their flight at the last minute. For reasons known only to himself, Baker decided to travel to Melbourne by train instead. As a result of his narrow escape, he held a lifelong fear of flying. And justifiably so. In 1950 he finally boarded a DC-4 operated by a new (and completely unrelated) Australian National Airways, for a flight from Perth to Adelaide. The aircraft crashed 18 minutes after take-off, following the failure of both engines, and all on board were killed. But before that, and just six years after Southern Cloud had vanished, there was almost a complete repetition of the tragedy when an Airlines of Australia Stinson Model A Trimotor VH-UHH Brisbane disappeared in bad weather on a flight from Brisbane to Sydney in February 1937. Again, there were theories and sighting reports all along the airliner’s planned route. Again, no amount of air searching could find any wreckage. Talk of a ‘second Southern Cloud’ was everywhere. This time though, one courageous local bushman from the rugged ranges of southeast Queensland, Bernard O’Reilly, acting alone and against all the odds, discovered the wreckage and a handful of survivors eight days after the crash in an heroic solo ground search. If only Southern Cloud could have been so lucky.